Photo by Seeing Southern Photography. 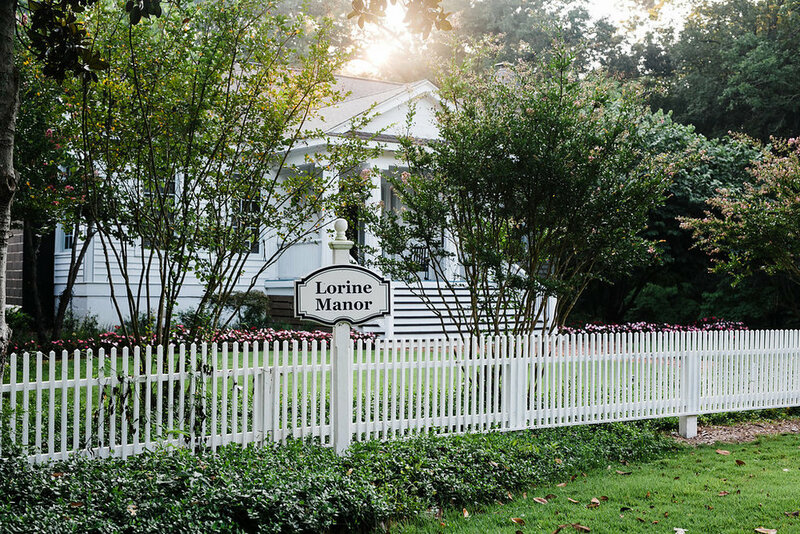 Nestled in the middle of serenity is Lorine Manor, circa 1845. Although used for our private residence, the outside is available for your beautiful wedding set on the cascading staircase. With a white slate for your backdrop, pops of color will splash off the photos and into your guest's memory.